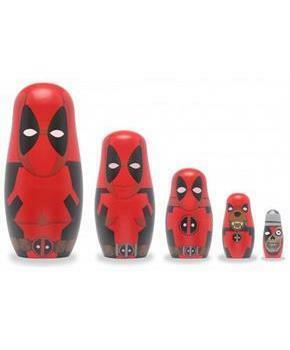 The worlds of classic Russian nesting dolls and pop culture collide! This 5-piece set represents the entire Deadpool family: Deadpool, Lady Deadpool, Kidpool, Headpool, and even Dogpool! Each detailed and colorful doll fits inside the next! Sizes range from 1.5" - 5.5". Nesting dolls are made of real wood! 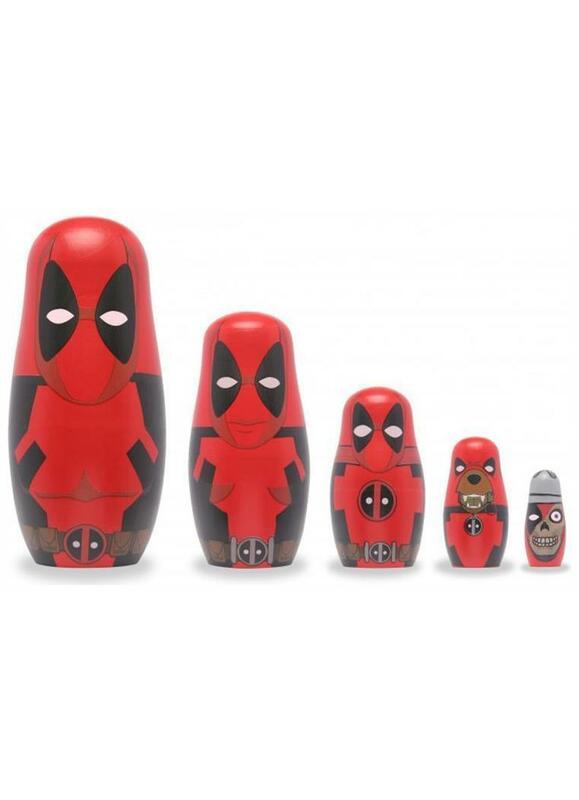 The worlds of classic Russian nesting dolls and pop culture collide! This 5-piece set represents the entire Deadpool family: Deadpool, Lady Deadpool, Kidpool, Headpool, and even Dogpool! Sizes range from 1.5" - 5.5". Nesting dolls are made of real wood! Each detailed and colorful doll fits inside the next!